Now that I’ve got my photos and notes done for last year’s spring trip to Nepal, it’s time to turn my attention to this year’s Manaslu Circuit Trek. Having a bit more time than in recent years, I visited the nurse at my local GP’s back in January to work out what I’ll need for Nepal and Ladakh. Given that I’d suffered a bit with altitude sickness for the first time last summer in Peru, I wanted a prescription for some Diamox (The University of Utah is currently conducting a medical study into lower doses), and my WHO International Certificates of Vaccination log book was telling me that my Diphtheria-Tetanus-Polio and Typhoid vaccinations were due to run out in 2016. The nurse looked through my log book and gave me the current thinking on fresh jabs and boosters recommended for trekking / camping in remote areas, taking into account my habit of tripping and grazing knees/palms and/or falling over when failing to cross streams, plus what might happen if I had a serious accident (needles, blood transfusions etc). Diphtheria–Tetanus-Polio (Revaxis) – I’ll be getting this redone in August, 10 years since my last shot. Typhoid (Typhim Vi) – Another one pencilled in for August. These only last 3 years. Altitude Sickness (Diamox Tablets 250mg) – A two week supply, at 1/2 tablet a day, with a couple spare = a prescription for 10 tablets. 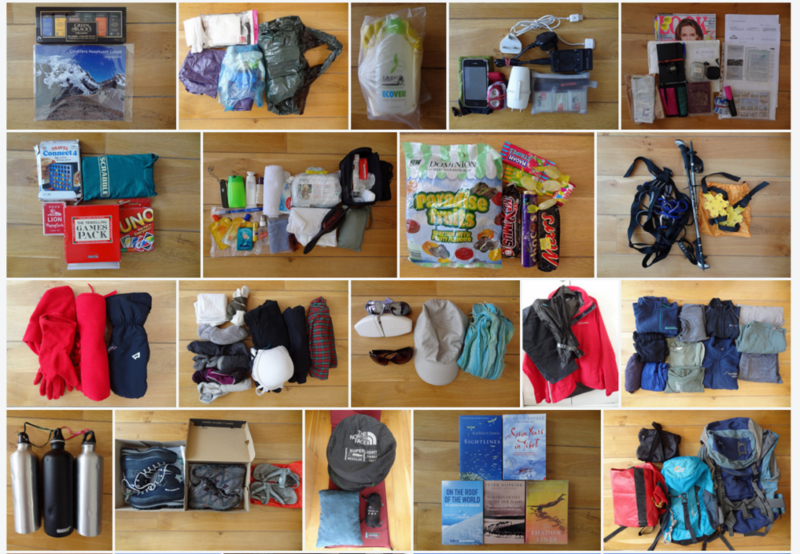 We’ll be acclimatising very gradually on the Manaslu trek so these are “just-in-case” and mainly so for Ladakh. Cost: £8.20 (prescription charge) TBC – it’s a private prescription. 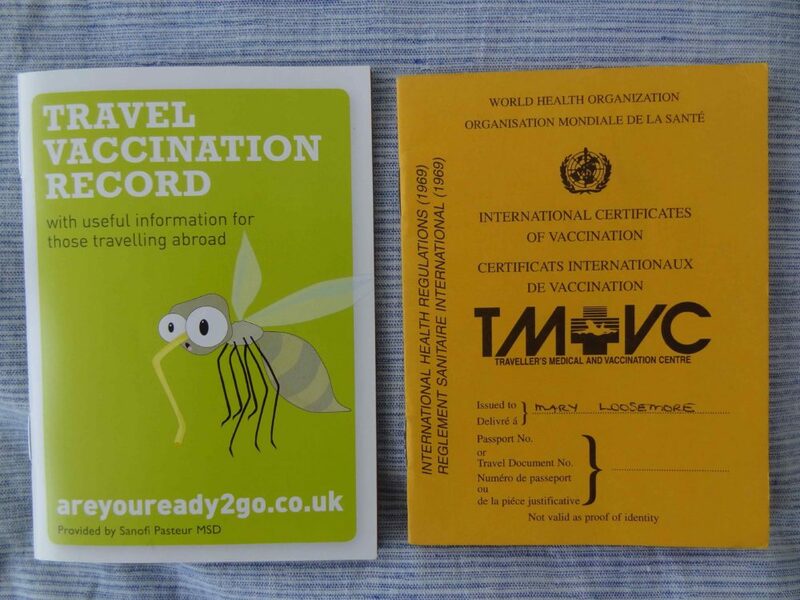 Malaria and Japanese Encephalitis – I’ll be covering up, using mozzie repellant and taking Vit B tablets. Cholera – Val’s camp hygiene is second to none. … even if that sentence is a little hard to parse. I use the Austrian Alpine Club UK for mountain rescue and medical cover, and a basic annual travel policy for everything else (travel delays, theft etc). I usually go for one of the current recommendations on MoneySavingExpert. I’ve still got my basic policy from last summer’s trip to Peru, and I’ve just renewed my membership of the AAC. 30 days single entry, USD40 cash. I’m a UK passport holder, and it’s straightforward to get a visa on arrival at the airport – in fact based on the queues it looks like most people do. It looks like you need 2 passport photos too, although I’ve a recollection from last year the new “electronic system” provided that – but doesn’t do away with the need to queue to get the visa put into your passport, so it was quicker overall to have a couple of photos with you. You fill out the form in the arrivals hall (usually in the queue). We’ll need to take 4 passport photos for trekking / park permits. I made mine using http://www.idphoto4you.com/ last time, and they worked fine for visa-on-arrival and permits. A big bag of warm / waterproof clothing to donate to our trek crew. Destination: Nepal, on a three week Manaslu Circuit trek (excellent map) anticlockwise around the mighty Manaslu (मनास्लु) – the eighth highest mountain in the world (8163 m / 26781 ft). Why: More high altitude trekking in the Himalaya with the excellent Val Pitkethly, crossing the Larkya La (5135 m / 16847 ft) and joining the dots between last year’s Tsum Valley trek and 2009’s Annapurna Circuit. Steffi and Charles are coming too. We’re promised some “Val specials” in terms of side treks. Plus it will be an opportunity to support the local communities at the centre of the April 2015 Nepal Earthquake, in an area where Light Education Development (LED) funds have provided school and medical supplies for many years. How: On a private trek with Val Pitkethly, plus, I hope, Sirdar Chhiring. Flights booked with Jet Airways this morning. Weather forecast for Gandaki zone: Kathmandu, Barpak, Lokpa (turn right for Tsum), Sama, Manaslu Base Camp, Samdo, Larkya La, Bimthang, Dharapani (where the Annapurna Circuit connects), Chyamje, Besi Sahar.